Most people are hesitant to buy tankless water heaters with advanced features thinking that it would cost them an arm and a leg. Well, luckily for you, this is exactly what Rheem wants to address. Rheem is a mid-range brand of water heater. The brand has been consistent in its advocacy of producing high-quality, innovative yet affordable water heaters for both indoor and outdoor uses. The RTEX-13 water heater is a residential heater that boasts 240V heating Chamber. This is a well-loved residential water heater because of its incredible performance and efficiency. Using this tankless water heater means not wasting any heating energy; it can even retain heat for a much longer time. In terms of replacement and installation that concern most homeowners, this heater is meant for everyone, especially the first-time users. It’s a ready-to-use model with easy-to-use features. With energy efficiency of up to 99.8%, which means that almost all the energy consumed is actually used to heat up the water and not get wasted. It can also be easily controlled using the external thermostatic control that has an LED display. Another amazing tankless water heater that Rheem particularly designed for homeowners is the Rheem RTEX-24 tankless water heater. This is actually a similar heater to the RTEX-13 model but with an upgrade. Instead of two heating chambers, this one has three heating chambers. So, what does this entails? This means the heating process is much faster and heat can be kept longer. Amazing, right? 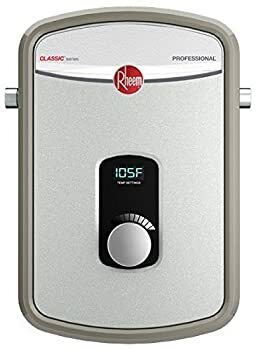 We’d say, this is the best Rheem tankless water heater for residential use, especially those with lots of bathrooms in their house. The three heating elements used are made of durable copper immersion. This produces water at a high volume of 5.9 GPM flow rate. What people love about the Rheem ECO180XLP3-1 is its amazing performance. This is a high-performing tankless heater that is powered by 180,000 BTU liquid propane gas. It has a sleek and slim structure, so you can fit it in easily. 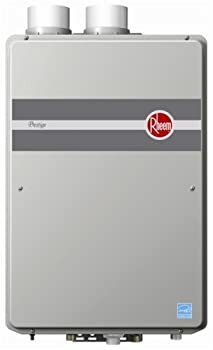 If you are looking for a tankless water heater that would look good and perform great in outdoor settings, then the Rheem ECO180XLP3-1is the best tankless gas water heater is for you. This can heat up two or three bathrooms simultaneously. It also has its own anti-freeze system that protects the heater from low temperatures of up to -30 degrees Fahrenheit. If you are the type of person who doesn’t mind spending a few more cash as long as you get a high-quality product, then you should definitely check out this outstanding tankless water heater. 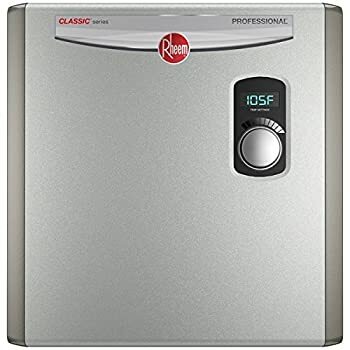 RheemRTGH-84DVLN Tankless Water Heater has been a consistent contender for the best tankless water heater in many Rheem hot water heater reviews. This tankless heater is no ordinary heater; it is a condensing tankless water heater which is known for its high energy efficiency. This condensing tankless water heater is an energy-saver unit certified by GAMA, which is a known association of appliance manufacturers. It only pulls little electricity. Another amazing heater on our list that seems to be people’s favorite is the RTGH95DVLN Water Heater model. 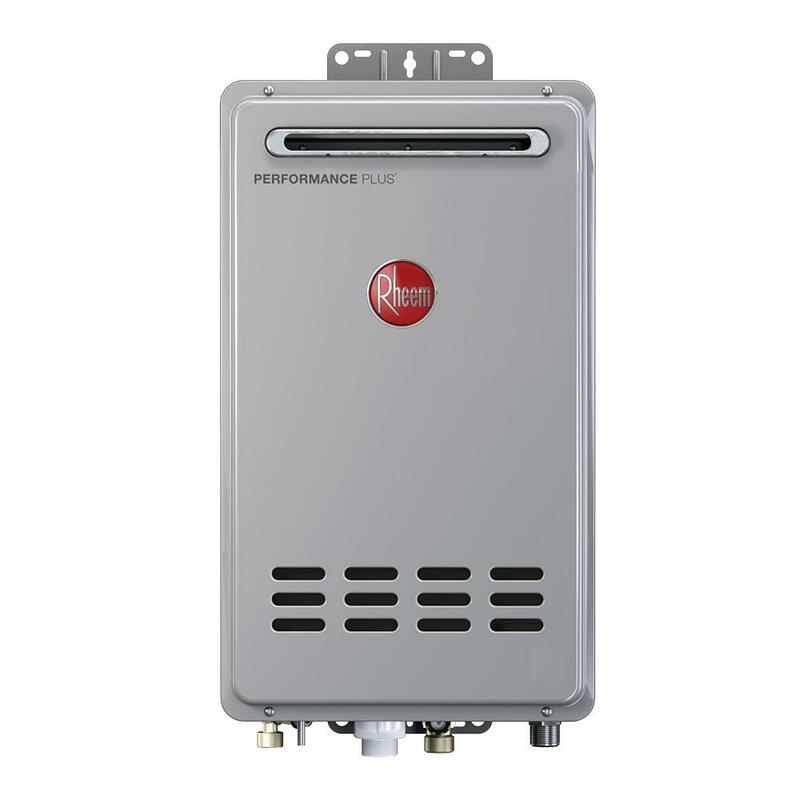 Many Rheem tankless water heater reviews also choose this model as one of the best value heaters. It’s a space-saving tankless water heater that delivers continuous heat all throughout. The heating elements it uses are durable and powerful. This is a condensing tankless water heater which instantly lowers the temperature of the exhausted gas. This uses Low Nox Version burners, which means that this doesn’t emit harmful emissions. So that’s it. You finally got the chance to know the 5 best Rheem tankless water heater reviews on our list. Among the five models, we highly recommend the Rheem RTEX-13 Tankless Water Heater. This is a great model to start with as it is small and compact, has 2 heating chambers enough for at least 2 bathrooms, and has powerful heating elements. This is also an energy-efficient product which is self-modulating. On top of that, the straightforward design makes the heater user-friendly. Choosing the best tankless water heater for your home needs research and a lot of considerations. It’s better to read as many reviews online. It also wouldn’t hurt if you ask around for recommendations. Nevertheless, many would agree that Rheem is one of the most trusted and reliable water heater brands recently. And it seems that it still will be in the next couple of years. So, what’s your personal pick? Want to know more best gas tankless water heater options? Click here!